I love that you're doing this and you're so right that it's not something you see very often. I love that sweater -- it looks beautiful. I really want to make one of these for Jacob, but he's so skittish about it. Maybe I should just DO IT and then he will love it and wear it out like your husband does. It looks great! This really i such a great sweater. It is the kind of sweater that makes me wish I had a boyfriend just so I could make him this sweater and make him wear it all the time. I love the update, and yes, you are correct, it is THE sweater I plan to knit for ollie, all because of B's love for his! Interesting about the knit versus seamed hem....and a bummer, too, b/c I like knitting it together. I love the contrasting facings on this sweater. This is still on my list for P-funk...but it may be a year or so. Since I am work on Cobblestone and he wants a cardigan next. I think I actually remember reading about you knitting this when it was first made. One of the first blogs I ever read. This sweater still looks great, and I happy that he still really likes it. 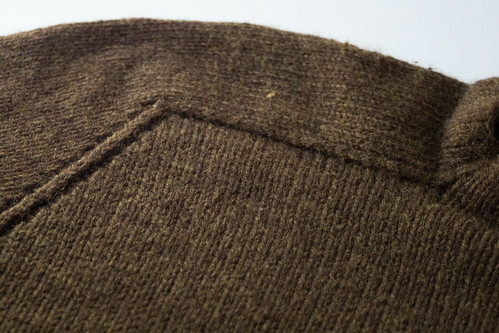 the knit hem is definitely easier, but they flipping would annoy me too. i like that purl gutter! i think it looks very neat and professional! That is a great sweater. A supergreat sweater, in fact. Yay! The Cascade is wearing up so well, too. Plans are being hatched around these parts even as I type.... Thanks for the update, I love hearing how handknits have fared! This is what you hope for in any knitted gift! I think the best thank you for a knitted item is very regular wear! I love that Cascade 220 color! I made a sweater that no longer fits out of the same one. Now I'm trying to find a pattern to fit the yarn. It's so nice when the recipient truly appreciates a handknit. Well done. Thanks for the info on the sweater. I'm eyeing it for my own husband and it's great to know it's a well loved pattern and yarn. I think this is a great idea, looking back at the old knits! 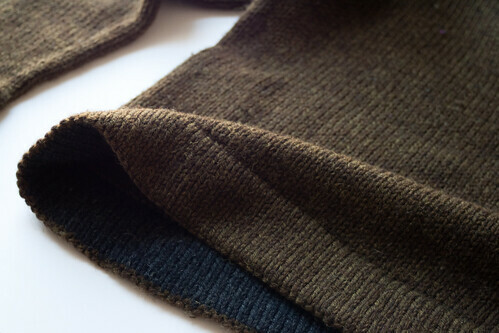 I hope my husband's soon-to-be-finished Seamless Hybrid is as well-loved as yours is. I was just looking at this on Ravelry and thinking it might make a nice sweater for me -- glad to see I'm not the only one! I love hearing your thoughts on how they worked out when done and worn for some time! I was just talking about this with Cassie/TMW - I think we should ALL pull out our finished knits and assess their longevity. A community service AND blog material. A win/win. I think these previous knit reports are a great idea, its so valuable to see what yarns and patterns work in the long run. Terrific idea and a great report! Love these photos, too. I've admired this in your Ravelry FO list. Nice to hear a report! 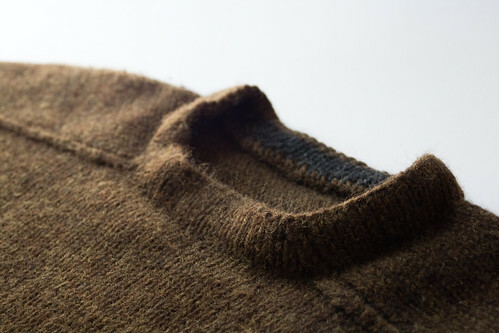 i love reviews of sweaters after they've been worn :) good to hear your thoughts on the matter. Brilliant idea. Thanks so much. I look forward to your future posts and hope this will start a trend amongst knit bloggers. This is such a nice sweater! Happy 2009 to you! Thanks for your review. I just ordered a bunch of cascade 220 (in the tweeds) to knit my husband a sweater. I've only used it for a few smaller projects so far and none of them had gotten a lot of wear yet. It's nice to know it will stand up to pretty nearly constant wear, that exactly what this sweater is supposed to be for.